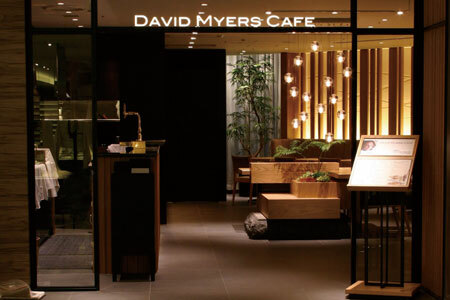 California-inspired dishes from chef David Myers in the Ginza Mitsukoshi department store. : Chef David Myers made a name for himself in Los Angeles with Sona (now closed) and Hinoki & the Bird. At his eponymous café in the department store Ginza Mitsukoshi, the menu features California-inspired dishes made with locally sourced ingredients. The famous Comme Ça burger is just one of the options available.